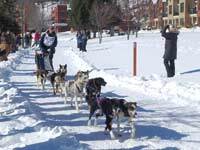 We were up in the Upper Peninsula to see the annual UP 200 Sled Dog Marathon and do some snowshoeing. 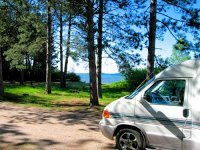 We elected to stay in the Munising area which is the halfway point along the UP200 race course. 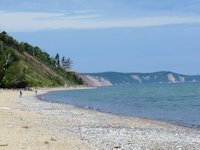 The town is on the eastern edge of Pictured Rocks National Lakeshore Park. 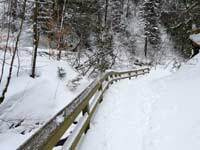 Very popular in the summer for camping, hiking, scenic waterfalls & views, the park's 33,000 acres and numerous hiking trails are largely open for snowshoeing or winter hiking. 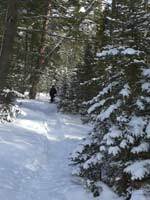 In addition there are several groomed cross-country ski trail systems in the Munising area. 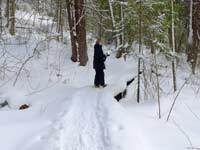 Some of these systems have dedicated snowshoe trail routes and many will allow showshoe hiking as long as you keep off the groomed tracks. One of the more popular winter hiking or snowshoe venues is following the footpath trails into the several waterfalls that exist in the Munising area. 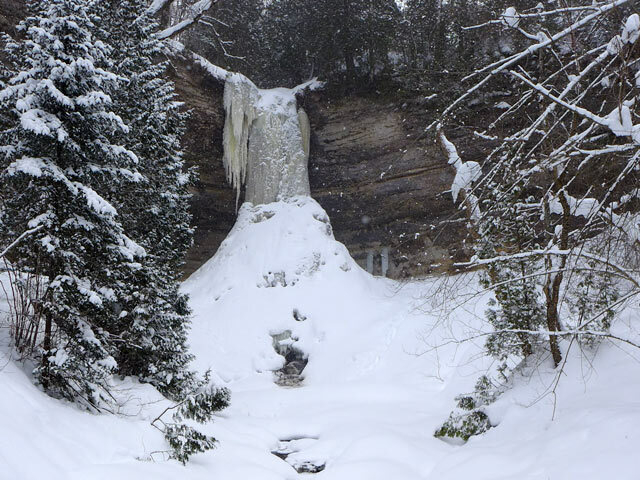 Winter hiking into Wagner, Munising, and Miners Falls are the most popular. If Chapel Road (a spur road off H58) is open you can snowshoe into either Chapel or Mosquito Falls from the parking area at the end of the road. 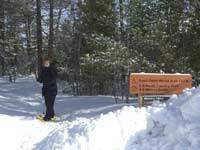 Other winter activities in the park, in addition to Cross-country skiing, include winter camping and rock/ice climbing. 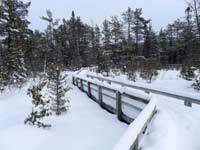 Judging from the vehicles we saw, the most popular wintertime activity is snowmobiling. 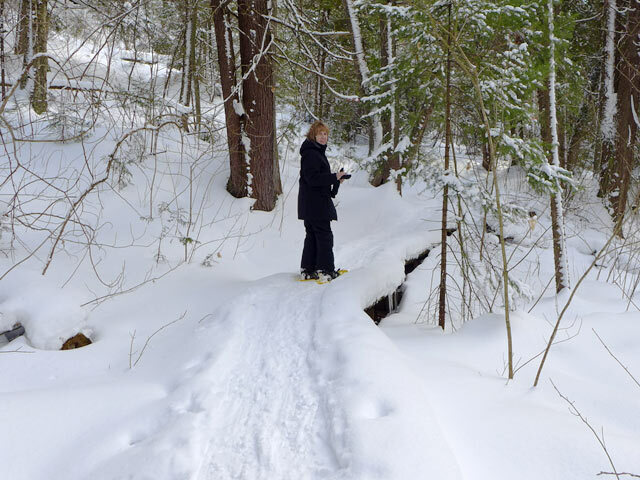 In general the snowmobile trails are quite separated from the cross-country, hiking, and snowshoe trails so while there were lots of machines out the day we were hiking and snowshoeing, we rarely heard or saw any machines. 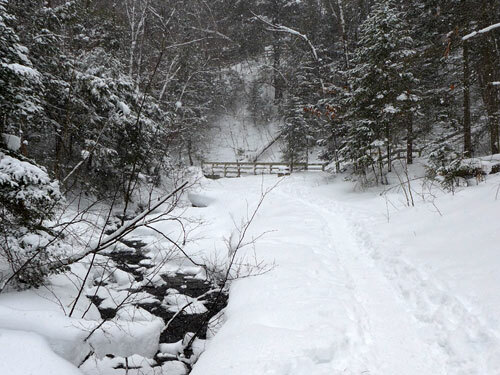 The trail to Munising Falls was so well traveled and well-packed that snowshoes weren't needed. 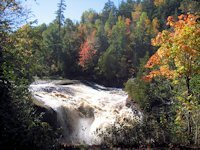 of the 50 foot high falls in the summer. 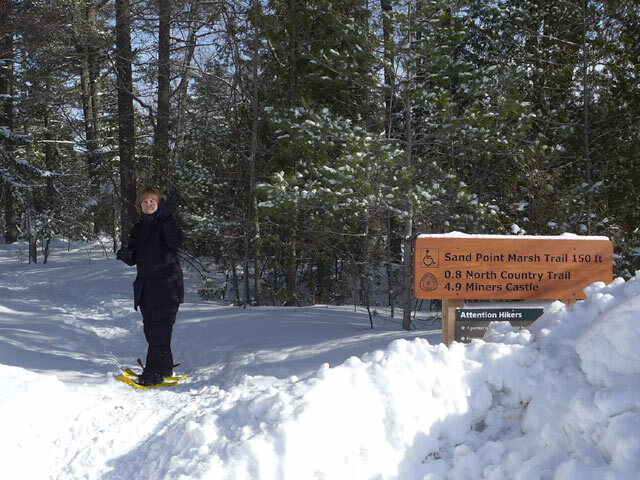 The sand point trail connects with a boardwalk loop and the North Country trail. The Boardwalk loop runs out for a half mile and then rejoins the sand point trail. 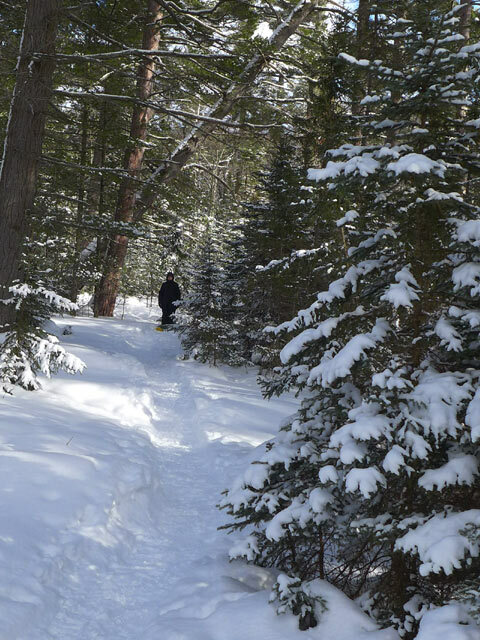 A portion of the trail runs through a section of old growth pine. 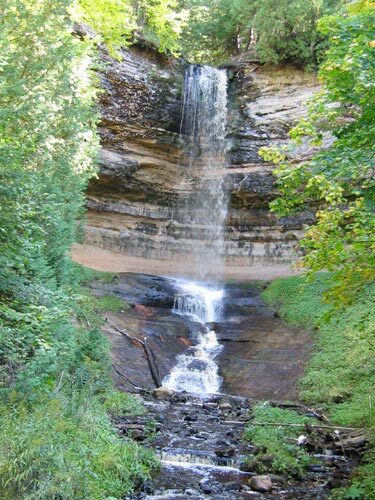 At the base of the Munising escarpment. 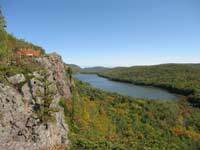 From this point the trail ascends steeply over a section of switchbacks to join the North Country Trail. We would have needed some hiking or ski poles to negotiate the trail to the top, so this was the point we decided to begin our trip back.